We are grateful to all the wonderful people who lent their voices, including award-winning poet Claire Dyer who wrote an incredible poem for Poetree. She has given the Ash tree a voice, drawing upon mythology, history, nature and our role in looking after these endangered trees. Also thanks to award winning-journalist Hazel Southam who lent her voice for Histree - it's gritty and gripping! 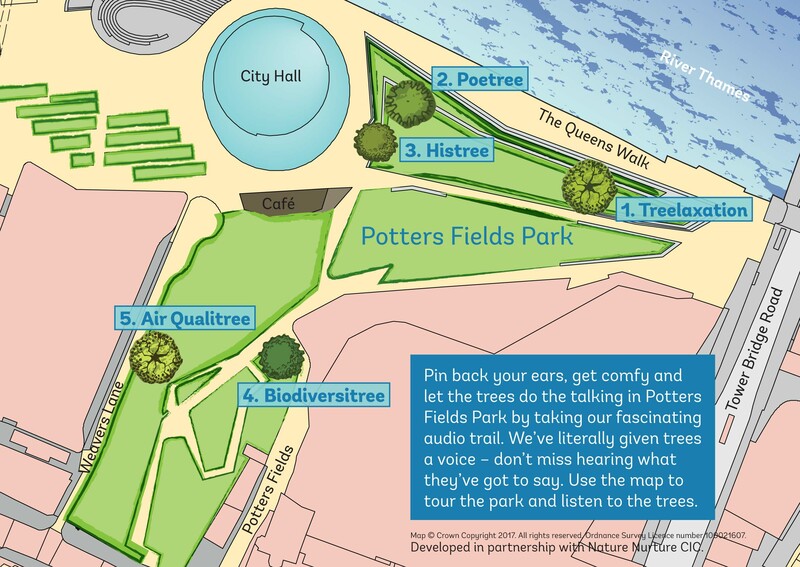 Then of course the one and only Poco Drom with the amazing Biodiversitree song - but you'll have to find the Wingnut Tree at Potters Fields Park to hear that! Below are a few totally treelaxed folk at our debut event in Prospect Park, Reading. That oak is 400 years old! The Tree Doctor will be on duty each day, helping to combat symptoms of 'Nature Deficit Disorder' by prescribing specific talking trees and other doses of nature (including lots of fun, hands on activities throughout the site) ...all treatments are FREE on the NHS (Natural Health Service). These 5 trees will tell your their stories through history, poetry and song. 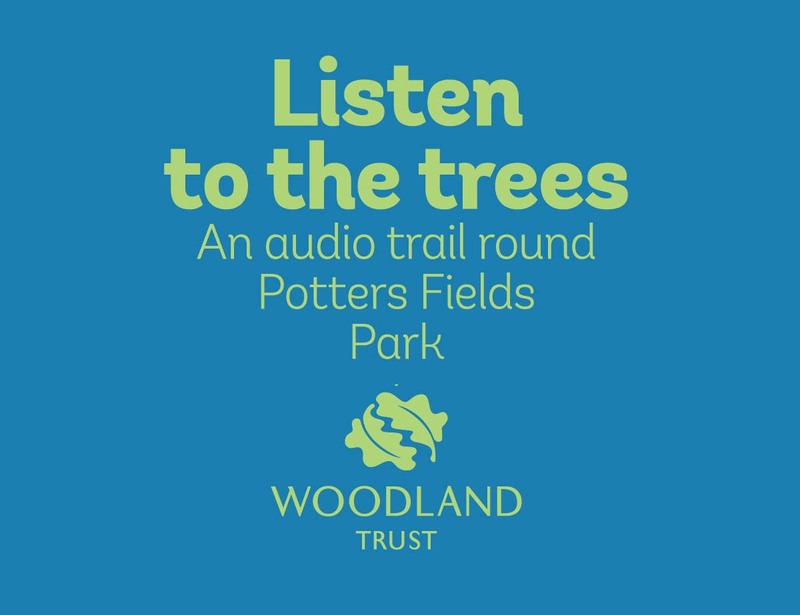 Immerse yourself in an amazing sonic experience and discover the wonderful benefits trees give to people and the planet. Positive health outcomes are linked with access to natural environments rich in biodiversity. The State of Nature Report 2016 revealed that 56% of our native species have declined over recent decades. The HLF State of Parks report 2014 shows our urban green spaces are under threat and highlights the need for communities to take on a greater role in their care. Meanwhile we are less active than ever before and our health system is in crisis. Our sedentary lifestyle is leading to rising levels of obesity & stress. Poor Air quality is endangering human health. People need nature. Nature needs people. Our solution is to co-design a way to enable nature to talk with technologists, ecologists, creatives and our community, built upon 5 years of achieving positive outcomes for health, wellbeing and environmental stewardship through our previous nature engagement projects. Talking Trees connects people with trees. In doing so, their physical activities increase and they experience the restorative effects of nature. Spending time in the natural environment is the first step towards raising awareness of and postive action on environmental issues. Potters Fields Park lies at the very heart of London, on the southern side of the Thames. It can be accessed either via Tooley St, Tower Bridge Road, the Queen’s Walk from More London, or from Shad Thames. The best postcode to use for SATNAV or Google maps is SE1 2AA. The park is managed by the Potters Fields Park Management Trust. They have a great website with fascinating information about the wildlife and history of this special space. 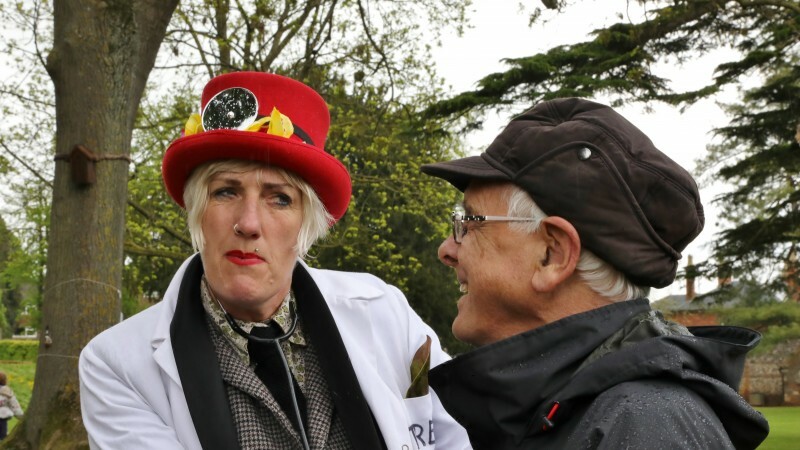 2 Responses to "Come and Listen to the Trees: 27th May to 4th June, London"
We had a great time at half term when we fell upon London Tree Week in potters field park. The kids thoroughly enjoyed treelaxation and consulting with the tree dr. Thank you! The mummy’s were wondering when the spa weekend draw was going to be drawn and where the winner would be announced…. ever hopeful!